Yosemite developers have put hidden easter egg in their wallpaper section. Before seeing that first know what is easter egg. A simple example is most of you would have noticed Santa Claus Hat Icon in VLC player during Christmas eve right? It’s an easteregg imbedded in VLC player itself, triggered by the date. What is an Easter Egg? An Easter Egg is an unexpected surprise an undocumented procedure or unauthorized feature that’s playful in nature or gives credit to the software developer or chip designer. Like their namesakes, Easter Eggs can be quite elusive and hard to find. 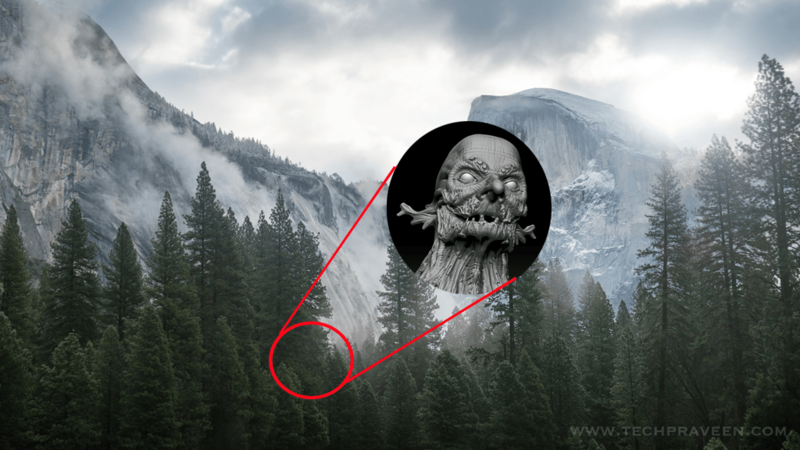 To view the hidden easter egg Mountain Tree Spirit in Yosemite just goto Wallpaper section. 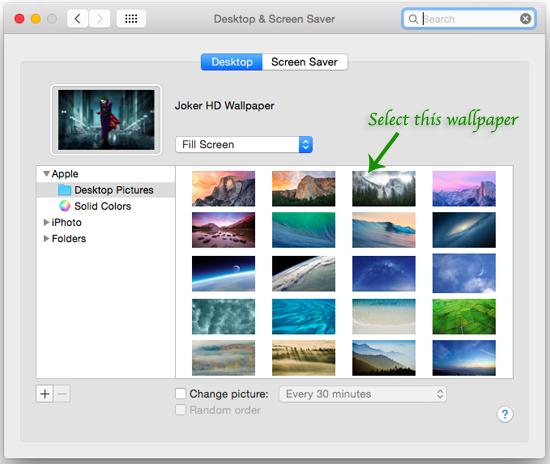 Choose Apple –> Desktop Pictures and select the wallpaper as shown in below picture.